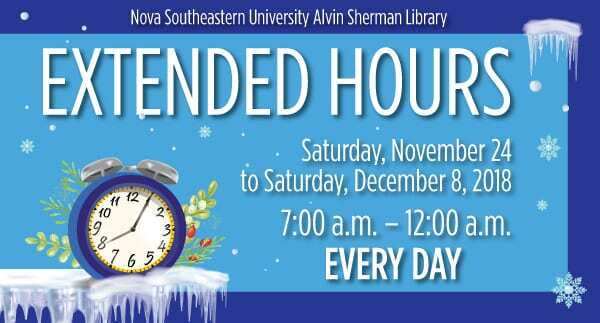 NSU’s Alvin Sherman Library will be extending hours Saturday November 24, 2018 to Saturday December 8, 2018. 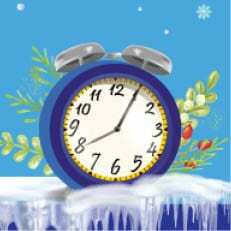 The library will be open from 7:00 a.m. to midnight every day to accommodate for finals. For more information, visit sherman.library.nova.edu.